Steve Ballmer's run as CEO of Microsoft was many things, but one thing it wasn't was boring. The fiery executive was known for taking an aggressive approach to things and he recently opened up to Bloomberg about his time with Microsoft, including his relationship with Bill Gates and some of the good and bad things that occurred during his tenure. Succeeding Gates in 2000, Ballmer took over the most valuable company but saw it fall sorely behind archrival Apple by the time he retired in 2014. His run wasn't entirely bad—it included moves that have spearheaded Microsoft's recent turnaround—but some of those decisions clashed with his predecessor, Bill Gates. "There was a fundamental disagreement about how important it was to be the hardware business. I had pushed Surface, the board had been a little reluctant in supporting it, and things came to a climax about what to do about the phone business," revealed Ballmer. Aside from differing business philosophies, Ballmer says that their relationship drifted apart after he left Microsoft, which was the "thing that really bound us." For the longest time, Microsoft refused to get into the hardware business, instead solely opting to provide software. That was until it introduced the Surface in 2012. It's interesting to learn that Bill Gates wasn't for the move. Ballmer's time at the company certainly had lows and highs, but it looks like his decision to push the Surface forward is turning out to be one of his biggest contributions to the company. Of course, hindsight is 20/20 and it is easy to see the success the Surface is having today — generating over $4 billion in revenue — and claim it was always going to be success, but that wasn't always the case. When first introduced, the Surface sold poorly leading to a $900 million write off for Microsoft. Things eventually turned around, but it looked like Ballmer was going to have another dud on his resume. Ballmer also reflected on what he still refers as his biggest regret, Windows Vista, stating the operating system "sucked up a huge about of resource for a much longer period of time than it should have because we stumbled over it." This stumble also slowed Microsoft's reaction to enter the hardware business, primarily the smartphone race, which it did with the purchase of Nokia, but never developed into a self-sufficient platform. "We should have been in the hardware business sooner, in the phone case, and we were still suffering what I call some of the effects of our Vista release of Windows," says Ballmer. If Vista was his biggest regret, downplaying the iPhone and buying Nokia for $9.5 billion aren't too far behind, both of which he touches base on in the interview. 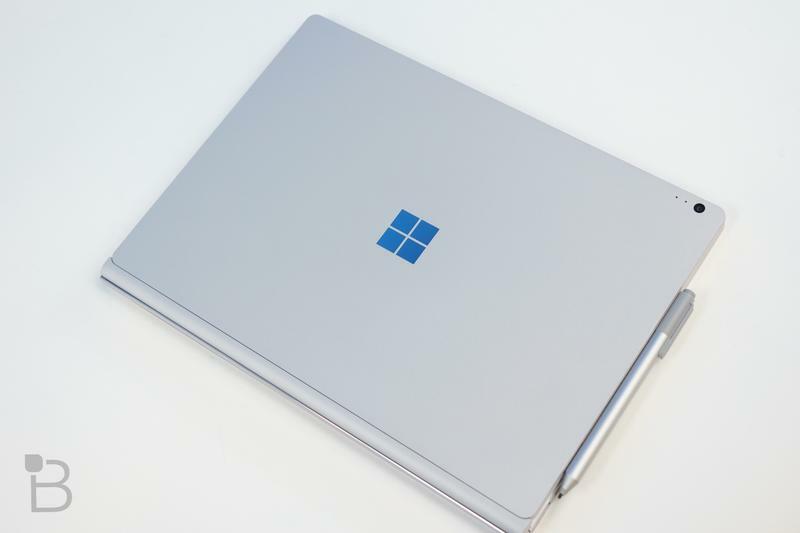 The direction Microsoft is heading now predicates on the Surface's success. With the introduction of the Studio, the Surface is playing an even bigger role for the company. With price of the stock soaring to $60 per share, the highest since 1999, Ballmer's fingerprints are all over the new-look Microsoft for the better or the worse. The entire interview is quite enlightening and sheds a lot of light at the ups and downs for Microsoft in the 2000's.